The West Bengal Congress has on Wednesday demanded immediate action and arrest of people involved in chit fund scam of crores of rupees. The demonstration was performed the next day after Chief Minister and Trinamool Congress chief Mamata Banerjee ended her three-day rally against the Center. Banerjee had sat on a protest against the Center after the CBI tried to question Kolkata Police Commissioner Rajiv Kumar in the Chit Fund cases. 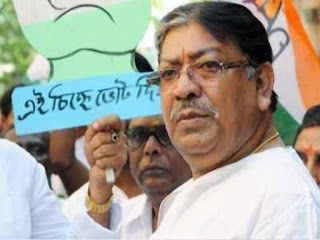 State Congress President Somen Mitra told that what prompted Banerjee to sit on the dock to save her special police officer from questioning. He said in the meeting, "We want to know, what is the reason that the CBI is taking so much time to arrest the criminals and second, why are the Chief Minister trying to save a particular police officer?"